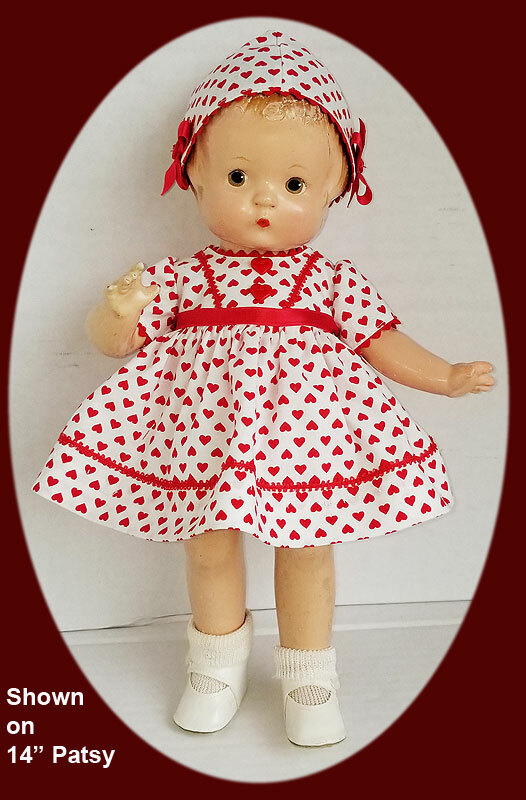 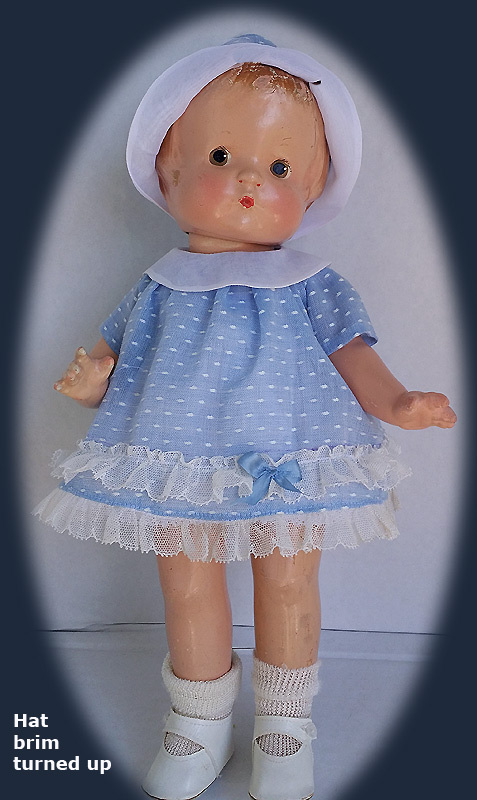 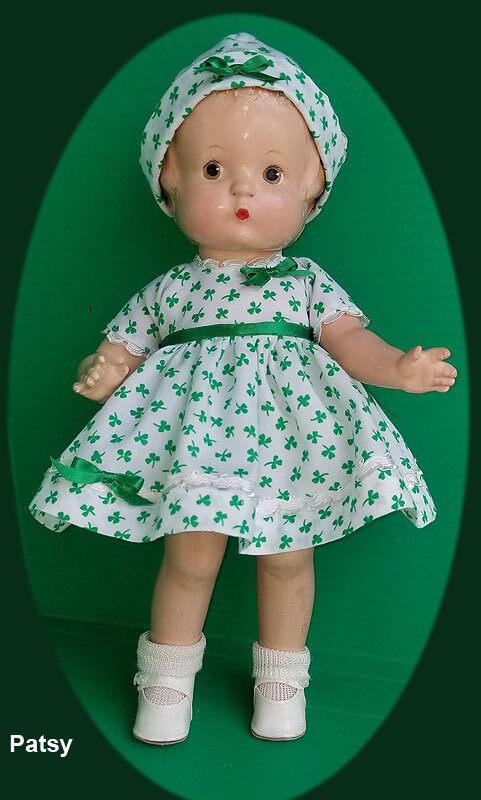 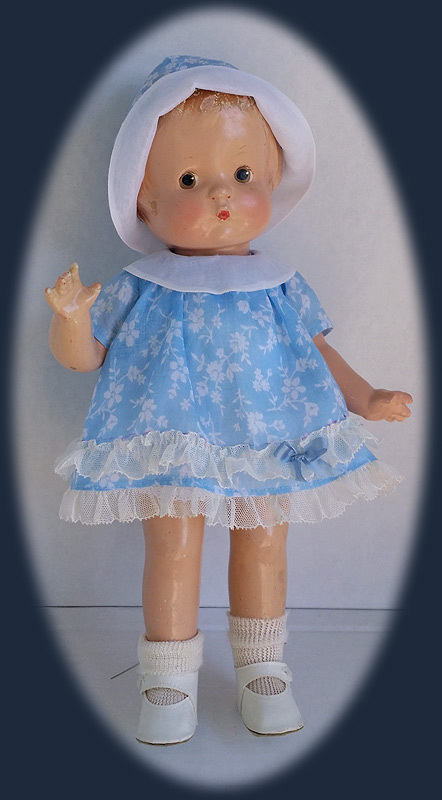 We are pleased to be offering Effanbee Patsy doll dresses, coats, underwear and shoes for 22″ Patsy Lou, 19″ Patsy Ann, 14″ Patsy, 11″ Patsy Junior and a few for 9″ Patsyette and 10″ Patsy Baby. 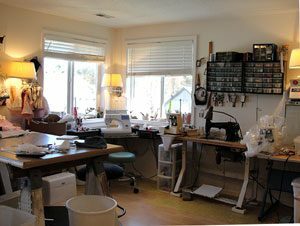 There is a dress or two for other sizes but I don’t make the bigger sizes regularly. 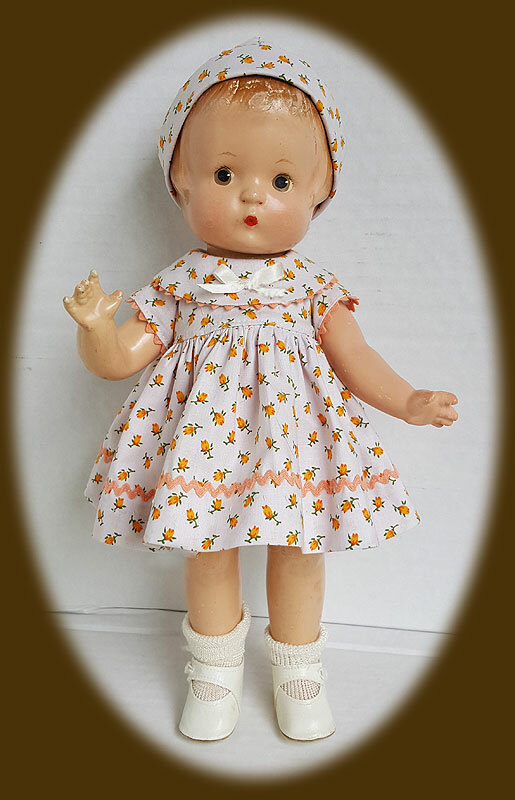 I collect vintage fabrics from the 1930s to make clothes for the Patsy doll family and will be working on it right along. 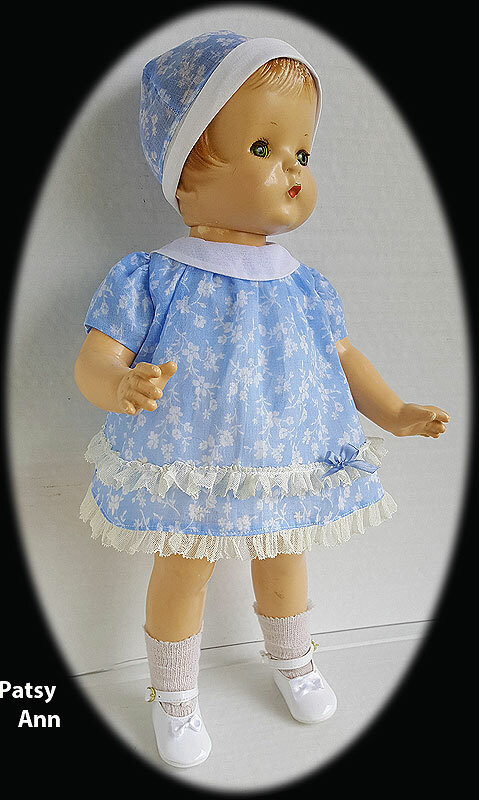 A note about the Patsy family clothes: during more than 35 years as a doll dealer, I had the good fortune to see many, many Patsy family dolls in original clothes– and I took the opportunity to make patterns, copying the original dresses, bonnets and coats as well as underwear. 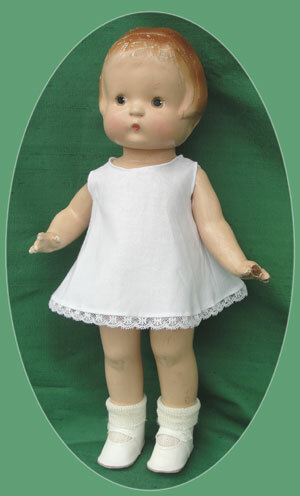 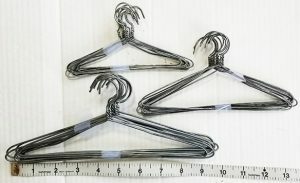 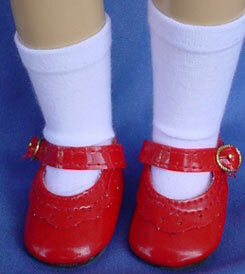 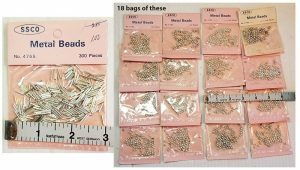 You will find all the Patsy doll family clothes authentic replicas of old ones, in patterns as well as fabrics and trim. 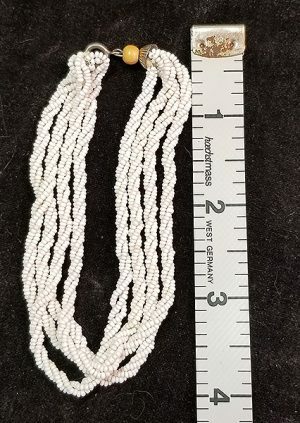 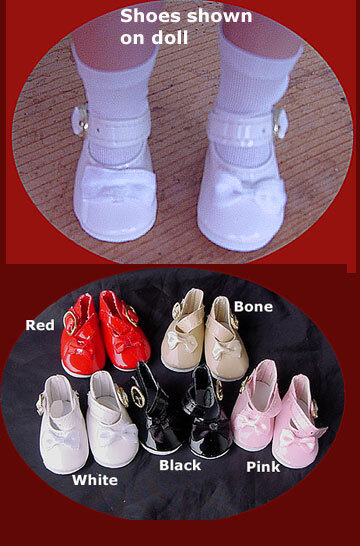 I use only silk ribbons and cotton laces, and NO polyester or other synthetics! 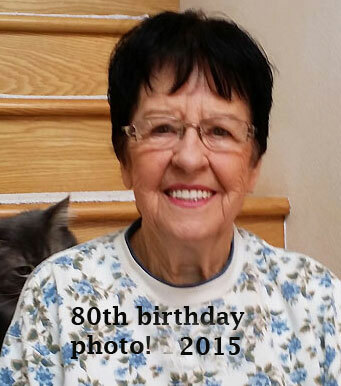 If you have questions please feel free to call me any day between 12 noon and 10 P.M. at 360-836-7556 or email me. 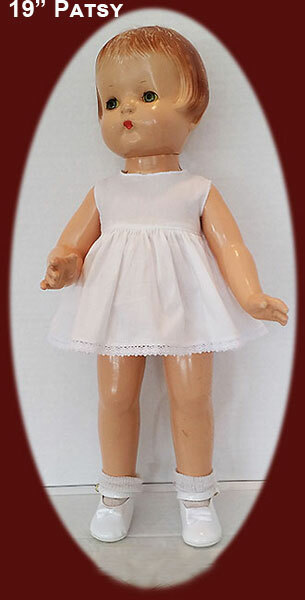 I do reply to all emails.